Each new year, people set goals to slowly carve out better eating habits. 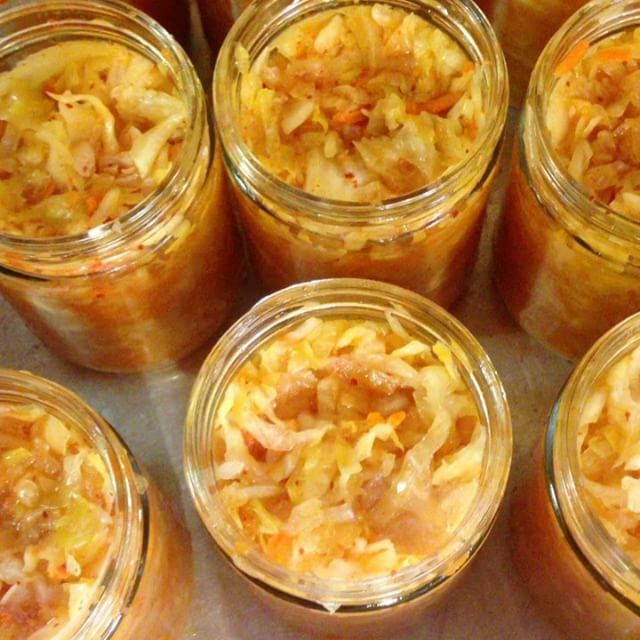 Eating fermented foods prepared locally is a smart approach to this endeavor. And understanding the essential roles of prebiotics and probiotics is tied into this. 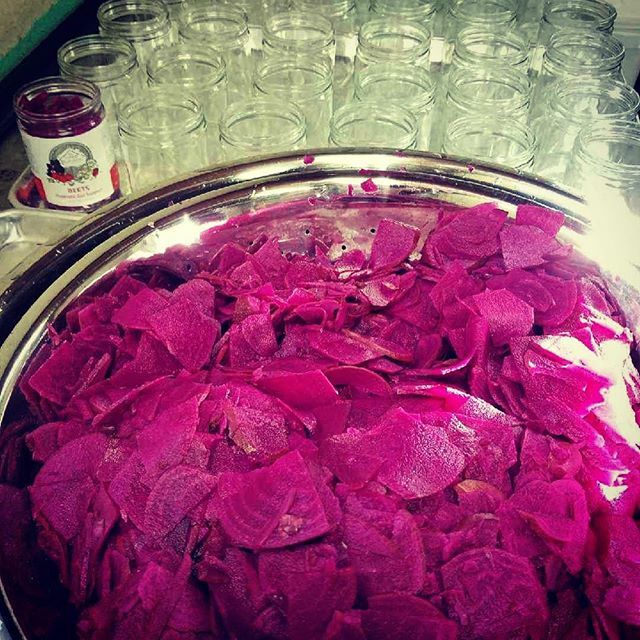 Weaver’s Orchard now carries cold-packed jars of small-batch fermentation-made veggies and blends from The Cottage Kitchen based in the Oley Valley, run by Wendy Gollwitzer and her family. Wendy’s primary products are Beets, Kimchi, Curtido, Kraut and Beet Kvass—more on these after Wendy’s family’s story, though. Wendy opened The Cottage Kitchen in 2015 after diving into farming work in 2007 at Oley Valley Organics once her stay-at-home mom days were ending as her children became older. “I had always dreamed of becoming more self-sustaining in terms of growing our own produce—raising our own chickens and turkeys, but found I really didn’t possess the knowledge or background to go it alone, so I decided to go to work for someone who knew the agricultural world,” she reflects. Around this time, it turned out her husband, Bob Gollwitzer, inadvertently taught her about the value of fermented foods. Happy to publicize his wife’s work, Bob uses his talents to promote The Cottage Kitchen by managing its marketing, social media presence and website, in addition to his own full-time work. And their middle school-aged daughter is the mass-labeler, applying 200 to 300 labels to jars and bottles by hand in a single shift. 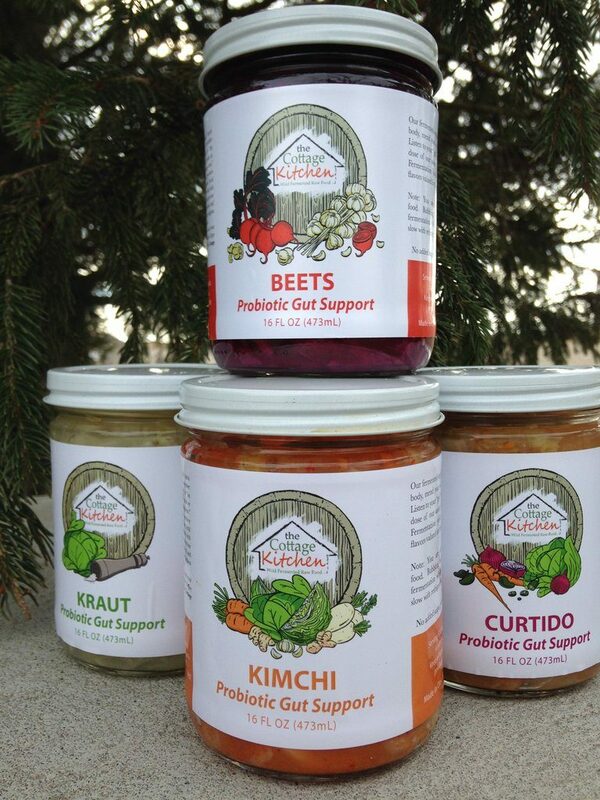 The probiotics at work in fermented food no doubt sound familiar, since probiotics became a buzzword in recent years. Prebiotics might be less familiar, but the two share an important relationship. Wendy explains their dynamic à la some nostalgia from the 1980s. There’s a lot to say on this subject, so Wendy recommends that people spend some time researching more because it’s a considerable amount to take in and is a major factor in everyone’s health. “Fermented foods rich in probiotics are a necessary part of a healthy diet,” she adds, explaining that without good gut bacteria, our system can’t digest processed foods properly unless helped by probiotics. “Kimchi and Curtido are best sellers, and Beet Kvass [for sipping versus forking] is a close second,” Wendy says. Kimchi is known for its history in Korean cuisine, and Wendy’s version involves organic cabbage, organic Daikon radishes, organic onions, organic carrots, organic ginger and Celtic sea salt. The Curtido which she makes is Salvadoran and is made of organic cabbage, organic jalapeños, organic red onions, organic carrots, Mexican oregano, red pepper flakes and Celtic sea salt. Traditional Beet Kvass, a drink which Wendy describes as an acquired taste for those who don’t already love these root vegetables, now also has two newly launched sidekicks: Turmeric Beet Kvass and Ginger Beet Kvass. 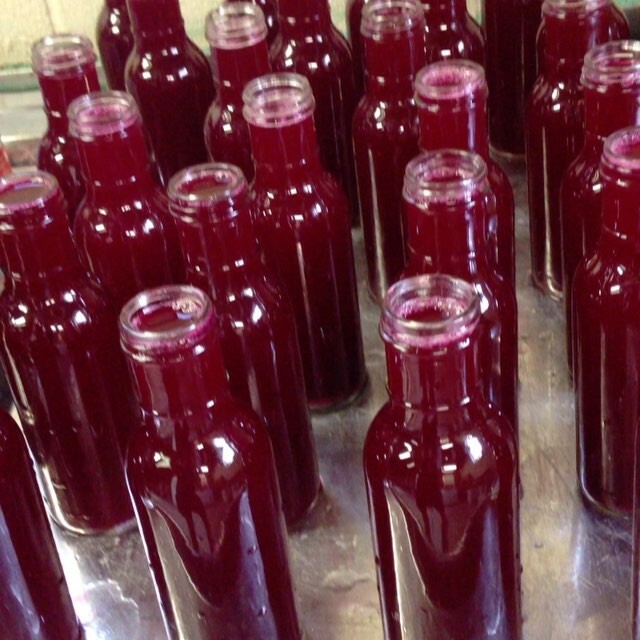 Since Beet Kvass is a big seller for Wendy, she mentions some of the impacts of drinking it. The Kraut Wendy offers is of the iconic sauerkraut known across generations in our region. But she notes an important distinction. She sources her produce from farmers in Berks, Lancaster and Montgomery counties, so it’s all local. And her jars and bottles are sourced from Lancaster Container. What Wendy loves most about her labors with The Cottage Kitchen is helping people shift into eating healthier foods daily, paying attention to their demeanors as their health changes. “Begin your New Year with a commitment to incorporate a small serving each day of raw, organic ferments or drinking kvass daily, and see if you don’t feel better,” she suggests. And that sense of physical wellbeing can affect your overall outlook on life.